If you lose, you apply the Martingale roulette system where you double bets after losses. Does This Roulette Strategy Work? 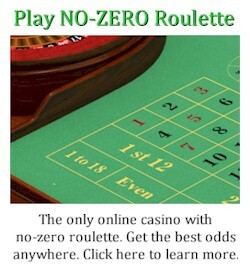 No, the James Bond roulette strategy does NOT work. And here’s why: The bet on 19-36 is covering half of the wheel. The addition of the numbers 13 to 18 makes it so 3/4 of the wheel is covered. The bet on 0 is supposed to be “insurance”. The reality is James has made three completely independent bets. They have no correlation to each other, and they do not represent any specific wheel sector. There is nothing that makes this particular bet selection special. If you need convincing that James had no idea about winning roulette, try making the bet over a statistically significant amount of spins. Try random number generator roulette, or a real physical wheel in a casino. Try our roulette simulator which simulates real wheel physics. To begin, use flat bets, which are bets of the same size. Then compare the win rate with what you expect from random accuracy. 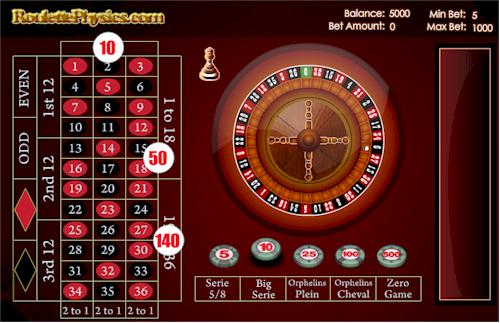 See the roulette bets page which explains the various expectations and odds of roulette. You’ll find your win rate is no different to random. Does the Martingale Betting Progression Help? Any betting progression is simply different size bets on different spins. Nothing more. It’s the same case with the James Bond system. It is an illusion that increasing bet size can increase your chances of winning. It’s easy to believe because a big win can win back losses. The Martingale is no different. It’s the same case with the fibonacci roulette system which uses the Fibonacci sequence or any betting progression. For example, with the Martingale, say you bet 1 unit on red and lost. Your next bet would be 2 units. If you lost again, your next bet would be doubled to 4 units. Then 8 units, and 16 units and so on. The accuracy of red or black spinning next doesn’t change at all no matter what you bet, so why would you expect to win? Maybe you think a win is due, or that it would eventually happen. but the fact is nothing in gambling is ever “due”. A simple test of this principle is check spin results where there may be 5 or so reds in a row. Then see how many times red or black spins next. You’ll find the odds are exactly the same as any other sequence of red and blacks. The odds do not change. What Does Win at Roulette? In the simplest terms, you can only beat roulette if you accurately predict the winning number. You need to predict where the ball will land. I know, duh, right? But systems like the James Bond roulette system don’t even attempt to predict the winning number. The bets have no logic with relation to the wheel wheel. The bets follow a logic on the betting table, which is a scattered representation of the real wheel. And what does the betting table have to do with the wheel? Nothing. Its’ just a place to make bets. 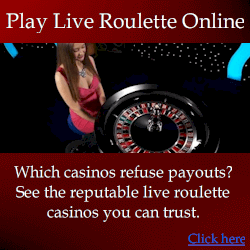 The majority of roulette systems do not consider the winning number. They are more betting systems that use progression bets such as the Martingale roulette system. Typical losing systems are merely varieties of the same principles known to fail. The James Bond system is no exception. Speaking of James Bond, you may like the various gadgets uses. 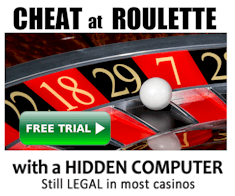 If technologies your kind of thing, and I suggest reading up about roulette computers. They are hidden electronic devices that predict where the ball will land. This is achieved by measuring the speed of the wheel and the ball.